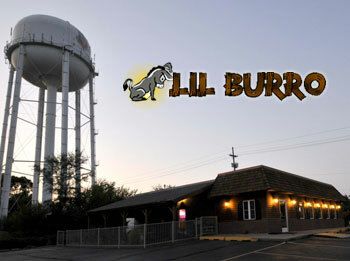 Lil Burro Mexican Restaurant in Bellevue opened it’s doors June 28, 1995. Lil Burro owner Shane Ashelford’s vision for his restaurant was reminiscent of a “Cheers” where customers could come, feel welcomed, and unwind from a hard day’s work. Lil Burro provides just that. In the vein of Mexican food, just up a notch, Lil Burro has unique Mexican dishes full of flavor and fresh ingredients that it’s unlike anything around the Omaha area. “My Mexican dishes are richer, heartier, and have more flavor than anything you’ll find around Bellevue or Omaha,” says Shane, who has been working in the restaurant and food industry nearly all his life. Shane started as a cook in the Air Force. It was there he experienced the beautiful flavors and dishes of Italy. After returning to the states, he worked in the kitchens of several restaurants, learning the best techniques for fixing flavorful dishes. “I then met my wife, Olga, who is from Mexico. With her influence, I have been able to take all my cooking experiences and create Mexican dishes unlike anywhere else,” Shane says. Lil Burro is more than just a Mexican restaurant. Shane prides himself on only selecting the finest ingredients. From the ground beef to the lettuce, no corners are cut to ensure customers are getting the best plate possible. This commitment to freshness led Shane to start his pepper garden right in the restaurant’s backyard. Today, with over 1000 pepper plants, Shane has a constant supply of fresh peppers, which is key to making the best salsa and jalapeno poppers anyone has ever tasted. What are you waiting for? Come in and visit Shane at Lil Burro today to experience fresh, original, authentic Mexican food.